I believe in adoption, the majority of my adult life has been significantly influenced by my decision to adopt. I’ve actively promoted adoption, through TV, documentaries, radio and the press. I’ve contributed at prospective adopter preparation courses and spoke at length to strangers, friends and acquaintances about the virtues and challenges of adoption. I have a blog and my mam reads it. I see that the landscape of adoption has changed the nature of the vast majority of the 28,000 children adopted in 1968 are very different to the 5,050 adopted in 2013/14. The adopters that step forward are very different now to those who made the journey 45 years ago. Society, law and culture have shifted almost beyond recognition. Research has rendered received wisdom and best practice as defunct, detrimental and dogmatic. Policies and systems that seem to be trying to catch up with this changing landscape. Is this week the right week to be asking questions? I have to say yes, this is the week to raise the difficult questions. 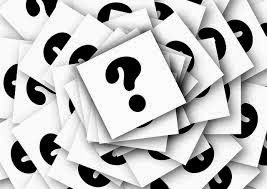 If the community of adopters and adoptees can’t ask these questions then who can? If we don’t ask them now then when will people listen? Approved and pre placement adopters are nervous of the questions they ask for they have everything to lose. They accept injustice, incompetence and delay because they have no choice. They do not have the power. Can the adoptees ask the difficult questions? No. They have no power. The questions that birth families and parents ask are often discounted and marked as invalid. After all, they don't deserve to ask questions. They have no power. Post order adopters sometimes keep our heads down, we need access to services, so we are careful, # are our cloak. We do what we can. So, those who can speak have a duty and responsibility to ask difficult questions, challenge accepted wisdom and policy. We are the experts of this experience so we must speak. This does not mean we are against adoption. There are voices, #flipthescript, The Open Nest, Adoption UK & individuals like Sally Donovan are asking hard questions, raising adoption's profile and we should throw our collective weight behind them. It is a shame that both pre and post approval adopters don't ask the questions they want to, I have often heard them tell me they won't, but the relationship established with their SW is for exactly that reason. How is support to be the right kind if you don't give them a clue about what it would look like? To admit vulnerability in the face of a challenge is human. There are of course some SW that don’t do the profession any justice, they make the rest of us as angry as they do you. Injustice is a breach of social work values and ethics, you have legs to stand on, an like all of us may need to learn to challenge with sensitivity. Incompetence and delay are often systemic. Good social workers face barriers to doing a good job, many like me leave the local authority, but you may be blaming the wrong person. The government promises the earth and cuts services to a degree that means only child protection is fully staffed and that will be by newly qualified workers. Overwhelmed and stressed people don’t do a good job, this fits this government’s narrative of clunky public servants. Birth families no long have some powers once a court has made a decision. That doesn’t mean their voice isn’t heard, that you don’t always hear it is because (a) you don’t need to (b) although we share a lot of information with you, some remains their stuff and is confidential (c) I wish more adopters would take into account that the children they are parenting do already have a family of birth, too many silence that voice which creates major issues later as I am sure you are aware. Social workers routinely talk to children about why they are living with foster carers, why we thought home wasn’t safe, and the concept of finding them a new family to grow up with. Having difficult conversations with children is probably the most invaluable thing their foster carers and social workers can help you with. Cleaning your house, giving me nice biscuits when I visit, none of that matters if there is no transparency. That isn’t to criticise your questions, just where you place the locus of control. We need families for our children to grow up with and we mostly want that to be you. We know there is a veneer for us but we don’t need it. SW are the most realistic about family life of anyone else you will meet. They know the most about your children and children who have experienced trauma and abuse. My experience is that the emotional landscape of adopters is a barrier to information sharing. This is completely understandable, adopters have been on their own journey, often involving the trauma and loss of infertility. Questions and answers would at least be a dialogue. Thank you for your comment. I have to say that I generally agree with everything that you say. Like you I believe that many of the issues are systemic rather than based around specific personalities, though I confess to knowing a few cases of dubious practice. I increasingly worry about the nature of adopters relationship with birth families or lack of relationship. As you say I wonder at the trouble we may be storing up. Your last point relating to adopters and transparency I think is very true. For many prospective adopter working with SWs is a very challenging experience for a host of reasons that can be very difficult for some. Loss of control and power being one. Again thank you for giving your perspective and please feel free to chip in whenever you feel you can or should and keep me on the right track.